This weekend we had the privilege of photographing Helen & Mike's Wedding at the famous "Langdale Chase Hotel" in Windermere. 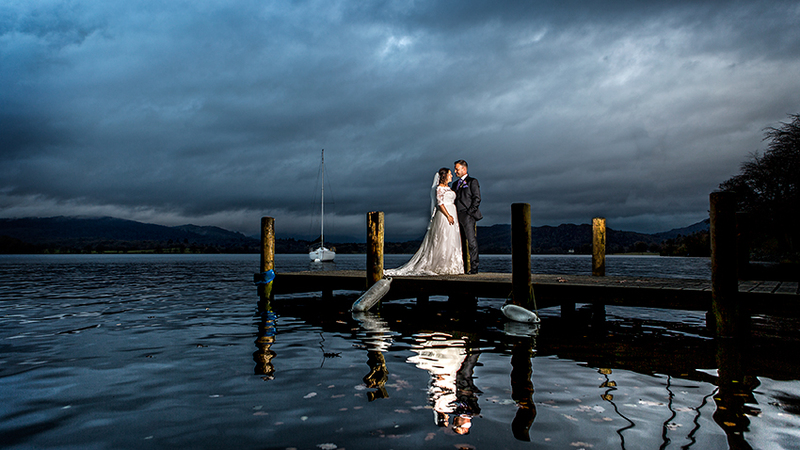 Just a sneaky peak from Helen & Mike’s wedding which took place at The Langdale Chase Hotel, in Windermere, this weekend. The weather prior to the day had been awful; wet, windy and very chilly, we hoped for just a little break in the weather for the Saturday afternoon... and we were totally surprised when the rain stopped, the wind slowed to barley a breeze just as the ceremony started... fantastic! For the next two hours we made haste and moved swiftly around the beautiful gardens and the private boat jetty’s capturing some amazing images. The light fell quickly, but that didn't stop us having some fun family shots on the terrace before dinner was served. The official BLOG of Helen & Mike will be live within 4 weeks. Get notified by liking our "Facebook Page"